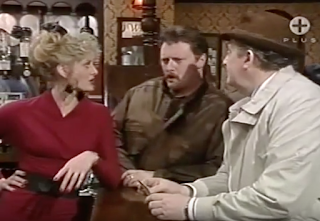 There's a nasty streak in Jim McDonald sometimes. He learnt there were new Environmental Health regulations for places that serve food so he ordered a hotpot in the Rovers then announced to the punters it was made in unsanitary conditions. This made Betty cry, and no-one should ever make Betty cry. Alec confessed to Bet he knew about the new regulations but he'd been putting off doing anything about it. Bet also provided a shoulder for Rita to cry on, as she confessed that while Boring Ted was a very nice bloke, he wasn't exactly Rudolph Valentino. Ted then surprised her with a bit of a snog and suddenly Reet was all a-quiver. Reg stopped bullying Vanessa and started kissing her backside, but he still blotted his copybook when her father - Lord Morgan, Grand High Poobah of Bettabuys - dropped in unannounced and Reg thought he was a pervert groping the apples for no good reason. Raquel and Des finally confessed that neither of them wanted her to leave, and they had a noisy wet snog that turned my stomach. With the Rovers unable to serve hot food, Alec got rid of Betty, making her cry again. Honestly, will nobody leave that poor woman alone? It made the profits tumble though so he eventually took her back on and hoped nobody reported them. She wasn't keen to return though. Unfortunately Percy had gone to the Town Hall to complain about 'Elf and Safety and put the Rovers on Environmental Health's radar. 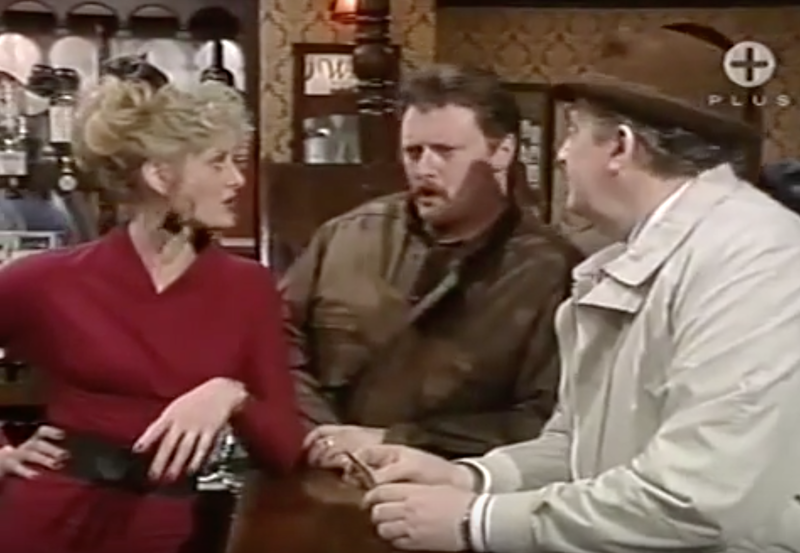 On the plus side Jim McDonald felt incredibly guilty that his gag had lost Betty her job. 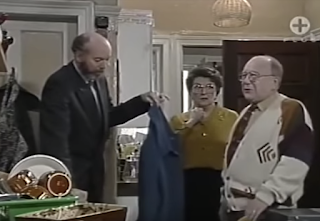 Reg got away with treating Vanessa like dirt because Lord Morgan appreciated his refusal to kowtow, but she still transferred to Walsall to get away from the little toad. Kevin was still doing fake invoices for Halliwell's, but since they'd paid off the bribe for the contract, he suggested to Mike they should drop them. Mike dismissed the idea because they were making a nice profit so Kevin sent in a sarcastic invoice talking about gold and mink accessories. Baldwin threatened him with the sack. And Rita decided to marry Boring Ted, even though he was very boring indeed, giving Mavis and Derek hope they could buy the Kabin when she moved to Florida. There was good news in the Platt household as Martin passed his aptitude test, meaning he could start nursing training a month later. Gail was concerned about him bettering himself. The Environmental Health officer visited the Rovers and took a look round their kitchen. First of all, it was huge, and bore no relation to that little galley they use now. It had an extension at the back and everything! Secondly, it was horrible, with cracked tiles and meter boxes on show and generally looking like a salmonella outbreak waiting to happen. Mr Steele gave them an ultimatum; clean it up or stop serving food. A reinstated Betty was understandably concerned, though at least Alec found someone to take his fury out on when he discovered Percy was the one who grassed them up to the Council. Raquel and Des hosted dinner for Curly and Angie, with Raquel doing the cooking. When Angie noted she couldn't smell it cooking, Raquel purred "that's the advantage of boil in the bag, in't it?". Derek was offered a job just as Rita agreed to sell the Kabin to the Wiltons, leaving him worried that they were throwing away a secure future for the gamble of owning their own business. 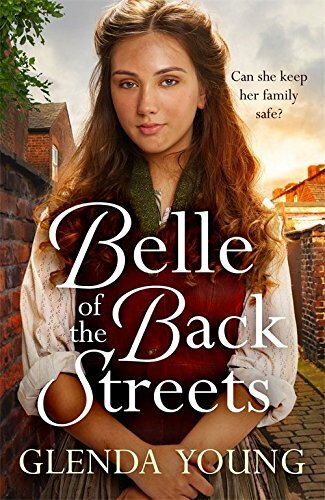 Mavis confessed that it had always been her dream to own a backstreet sweet shop and she'd rather they spent all day together in penury than be rich and apart. There were money concerns swilling all round the Street in today's episodes. Alec got in some fitters to get estimates for the new catering kitchen. Unfortunately they all turned out to be thorough and efficient, annoying tightwad Gilroy, as their estimates were all much more than he wanted to play. He finally agreed to get it done for seven grand, hoping that the trustees for Vicky's parents' estate would cough up the cash they owed him. Mavis and Derek did their calculations and worked out they'd need a bank loan of £45,000 to buy the Kabin. Emily suggested someone of Derek's age might not get it but he did so it looked like all systems go. Reg Holdsworth was trying to ram a wedge inbetween Rita and Boring Ted. When she got a valuation of £30,000 for number 7, he encouraged Curly to bid £20,000 instead - an amount that Rita found positively insulting, and when Curly suggested as sitting tenants they could make things difficult for a new purchaser, she said she'd let their tenancies run out. Angie was predictably furious. Reg did some digging on Boring Ted and discovered his wife had drowned; he suggested to Rita that Ted might have murdered her, as if he could be that interesting. She tore him a new one and threw him out of her flat. As it's Easter, there's no Classic Corrie on Friday or Monday. This isn't out of respect for Our Lord Jesus Christ, but is so they can marathon Carry On films instead. Commiserate with @merseytart over on Twitter. Classic Corrie is on ITV3 (most) weekdays at 14:50. The jokers, Steve, Dev and Tim, are having a competition to establish who has the best blood pressure and in an attempt to get Tim to lose Steve had "revealed" that Yasmeen and Geoff are to marry, which led to Tim faking a heart attack as Sally arrived and she has just given him a smack for causing her distress with his play acting. What distressed me throughout the blood pressure monitor games is that not once did I see it being located correctly with the pipe against the inside of the elbow at the bottom of the inflating collar. In this instance it is clearly coming out of the top - simply wrong and disappointing when it could so easily have been done correctly without upsetting the humour! Later on it is Dev who is wired up to the monitor when Evelyn arrives to complain that Cathy is being less than generous at yellow label time only knocking off 10% per apple when last week Evelyn is convinced that one of the said apples winked at her. Dev's blood pressure shoots up and after he leaves Steve and Tim pay off Evelyn for her assistance. Sal soon hears what has happened and Tim is committed to another power walk tomorrow! Abi wanted to why the ancient caravan with a strange odour which Chesney has sourced for a holiday is sitting on the Street - we later find it has been in use as a cannabis farm - and Abi thought it was a portaloo as it was so dirty! I assume Chesney hired the car as well and I have to assume he passed his driving test. Slightly more entertaining was the absurdity of Sarah Loo (remember she sleeps on an airbed) suddenly driving around in a neat blue car and able to follow partner Gary until she loses him in the roadworks. Last week Maria forgot she had been married. When building complex stories the odd plot hole can be missed by the powers that be and I realise it is all fiction but somewhere the management is missing some pretty obvious gaps at the moment. Now staying at a minimally equipped caravan site Chesney has found a three year old newspaper in the caravan and is reading it avidly. The Street has largely been an EU divorce free zone - but apparently three years ago a landslide victory for Remain was expected according to an article in the paper; Gemma's face details the absolute boredom which has descended on most of the Nation for discussing this particular subject. Abi is off for the job interview which Kev organised and the older generation will know what I mean if I suggest that Abi was wearing a wider than normal belt. She then tells Sally that if necessary she can always do a Sharon Stone - and Sally falls for it (above) questioning Abi's potential lack of underwear. Just in case we did not find it amusing when Ken trod in Peanut's excrement the sub-titling team made my day when I rewatched the episode and found out about dog fowling which I thought happened in the countryside when dogs brought back fowl which had been shot and of course is completely different from dog fouling, of which there was a lot this evening. Of course not shitting on your own doorstep is a good maxim! There were a lot of extras on Friday - the garden centre had all sorts wandering around but the best group were those in the Soggy Dog pub where Gemma drank them under the table in short order. Two appear asleep, one is hiding under a beer mug masquerading as a union Jack umbrella and one has just stood up to head for the gents but is slowly sinking back into his seat. And the landlord has had three days takings in an afternoon. Time is elastic. Sally took time out from attending to Tim's tingles in the shower to start work back at Underworld. Quite what good a one-armed woman will be in that working environment is another matter; perhaps she was answering the phones while Sarah-Lou stalked her boyfriend. Anyway, she said she'd never been glad to work on a Bank Holiday before - because obviously yesterday was Good Friday. But hang on: in the same episode, Chesney and Gemma were also waking up from their first night in the caravan, when they went away on Wednesday. And in Wednesday's episode, it was mentioned that Carla had run off the day before yesterday, which in Monday's episode we were told was the day before, while actually happening last Friday. Meanwhile, Bertie's hurriedly arranged christening is happening "tomorrow" and being shown in the episode on Easter Monday. WHAT DAY IS IT?!?!?! Someone fetch me a Tommy Orpington calendar and circle the date before my head explodes. (I'm glad Billy found time to do a Christening this weekend, by the way. As we all know, vicars have absolutely nothing to do over Easter. Poor love must have been bored out of his mind). Worship THE REPORT. Imran clattered around Monday's episodes swearing revenge and threatening violence, all in the name of Wayne and THE REPORT. Everyone said it like that, in all caps, and it was treated as the most reverent text since the New Testament. Imran accused Wayne of dragging his feet over producing it; I'd say a comprehensive investigation into a complex tragedy turning up a month later was pretty good going, but I'm not a highly trained lawyer like Imran. Similarly, I'd have thought THE REPORT wouldn't be the kind of thing you have to smash up cars to get your hands on, what with it being a matter of public record and likely to be submitted to the Health and Safety Executive and the Police at some point, but clearly I'm underestimating the value of THE REPORT and its magical properties. That single copy of THE REPORT has a value beyond all accounting, and definitely isn't stored on Wayne's laptop and able to be e-mailed to anyone who wants it at any time. Still, it meant we got to see the back of the shops, which was a first for me. Look! It's Roy's bins! Never mind the quality, feel the width. Chesney and Gemma's homage to Carry on Behind was, ultimately, exhausting. I'm happy for a good comedy plotline, but this was relentless. It wasn't just a bad caravan, it was a filthy, smelly mess that had been used as a cannabis farm, had purple lighting, a hole in the roof, and dodgy electrics. It wasn't just raining, it was an absolute apocalypse of relentless hammering precipitation. Gemma didn't just get drunk, she got absolutely wasted, dragged a load of gullible villagers into her circle of decadence, and knocked back half a bottle of rum. It was all too much; it was like a clown waterboarding you with his seltzer spray for two hours. And if you're following the well-trodden path of Bad Caravan Holidays, it's probably not a great idea to put in reminders of other, much better comedies. I like Gemma but she works best in small doses when she's being written as a sympathetic character, not as a tornado of chaos and selfishness (taking a seven year old's pocket money off him at poker is indefensible). Her demand that Chesney "love her as she is" was appalling. He wasn't asking her to change her entire personality, just stop leaving pizza in the toilet. The one bright spot of the whole farrago was Joseph, who is a lovely little actor and was doing far more subtle work than the grown ups. ...she ended up looking like Cousin Itt. I'd suggest they either wait until the worst of the weather has died down before filming or get the hairdressing department to invest in some really strong kirby grips. Cellmates make great mates. Who'd have thought, back when we were trapped under that whole Mayoral fraud storyline, that it would produce one of the best comedy partnerships on the Street? Abi and Sally were brilliant this week, with Sal adopting a kind of Professor Higgins role and trying to get her friend to improve herself. She volunteered her pantsuits when Abi wore a skirt that was "on the economical side" then, later in the pub, she shangai'd Brian into tutoring her for her GCSEs. (I can't help thinking her choice of Brian as teacher was deliberate, given that when Sally tried to get some extra qualifications, she ended up hurling herself at the schoolmaster). Abi gave as good as she got though, constantly winding her up, and their effortless banter was delightful. Get Abi back in the garage where she belongs and have her hook up with Kevin and I'll be very happy indeed. Has there been any single shot in the history of Corrie more disgusting than Ken Barlow putting his foot in a dog egg? I think not. If you have any other suggestions, let me know on Twitter @merseytart - but I beg of you, no pictures please. 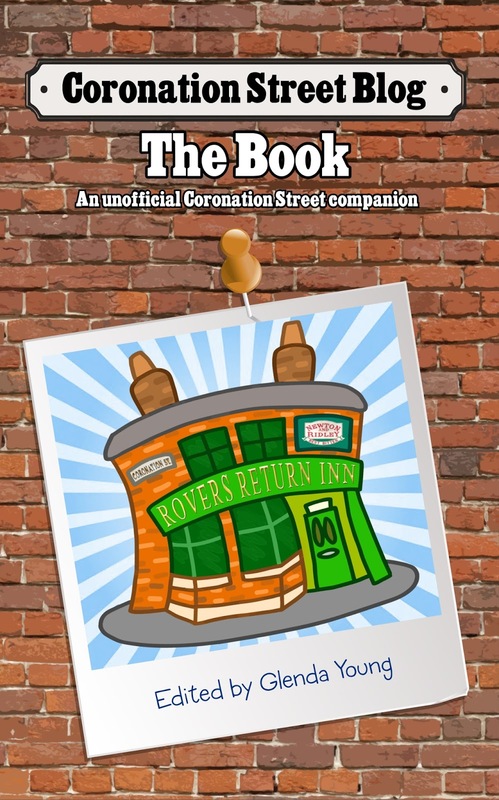 On this week's podcast, we chat about the episodes of Coronation Street broadcast in the UK between the 15th and the 19th April. Happy Easter, everyone! Well, we say happy, but we must admit, we don't remember the last time we were so down on a string of Corrie episodes as we were with these ones, with the chief offending storyline being Chesney and Gemma's wet week in a caravan, which only reinforced what we've been saying for months about the pair of them being a total mismatch. Meanwhile, back in Weatherfield, Gary continues his quest to become the world's most useless loan shark, and Claudia gets snapped not clearing up after Eccles. Can we have that number for Poop Patrol Hotline please, Beth..? 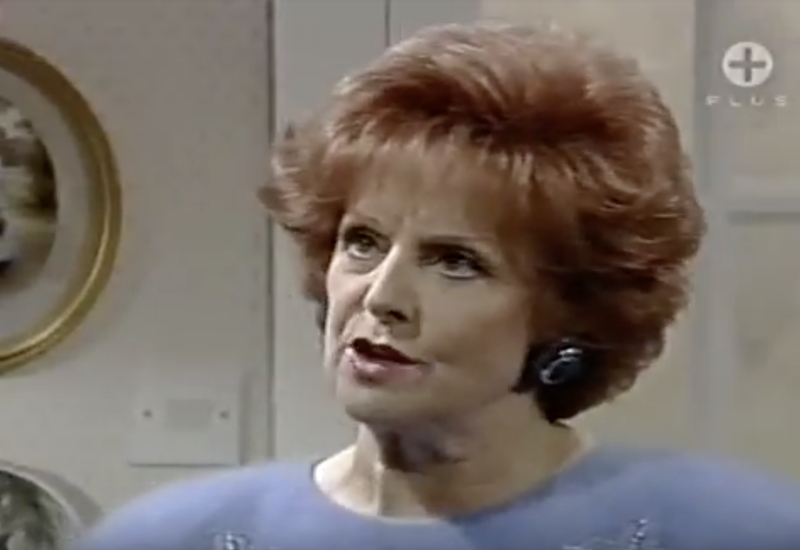 After Street Talk, we take a look back at the factories of Weatherfield, from Hardcastle's Mill right up to Underworld, and chat about some of our favourite storylines over the years - as well as our least favourite factory story cliches. That's followed by a quick trip to The Kabin for some news before finshing things off with some listener feedback.